For every formal meeting or occasion, formal shoes add elegance with style to the personality of the wearer. They are designed to enhance the impact of the wearer and leave a long lasting impression on the wearer. Jute formal shoes are the best option to make the wearer look smart and impressive in any formal meeting so that people do not forget him for years to come. Formal shoes designed from jute are in demand in the market for changing the attitude and giving the confidence to the wearer in the presentation, meeting, or any formal get together. Along with boosting the style of the wearer, jute formal shoes keep the feet smooth and soft. Jute with their natural attributes adds high comfort ability and soothe to the shoes so that they can be worn easily without worrying about the skin irritation. Jute formal shoes are breathable in nature that can absorb sweat in no time and keep the feet odor free for all day long. These green and eco friendly formal shoes are 100% biodegradable in nature than can be easily decomposed after use. Jute formal shoes are light in weight and highly comfy that makes the feet so relaxing while walking or standing. Their resistant to abrasion and wear & tear ensures their rough and tough usage. 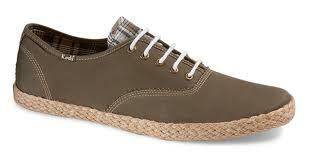 Jute formal shoes can be easily cleaned using a damp cloth and mild soap. 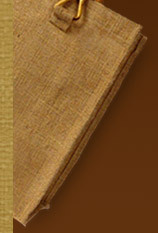 Like shoes of leather, fabric, etc., these jute formal shoes is available in a variety of styles, colors and patterns. They are designed in flat soles as well as heels. In addition to this, they can be added with other material to add more durability to them. Their reasonable prices make them highly popular among those people who want to go for environment friendly formal shoes that provide them with high comfort and style.